These incredibly strong 11 gallon galvanized tub have a durable hot-dipped spangled metal finish, wire-reinforced rim, body swedges, and an offset bottom. They are weather-resistant to last for up to a century, used indoors or out, even when soaked with water from using them to chill drinks (fits 39 standard drinks) for your barbeque guests. Additionally, they can be filled with pumpkins or seasonal decorations and used to spruce up your porch. Decorate for everyday simple country living. Note: This item ships with the manufacturer label. To remove label: use a hairdryer to warm up the label and peel it off without leaving sticky residue. 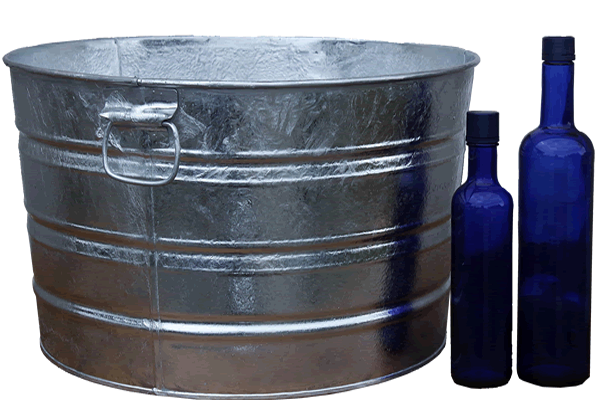 Click here to view this 11 gallon galvanized washtub in a smooth electro-galvanized finish. We offer a similar tub in 17 gallon, 15 gallon, and 9 gallon sizes. 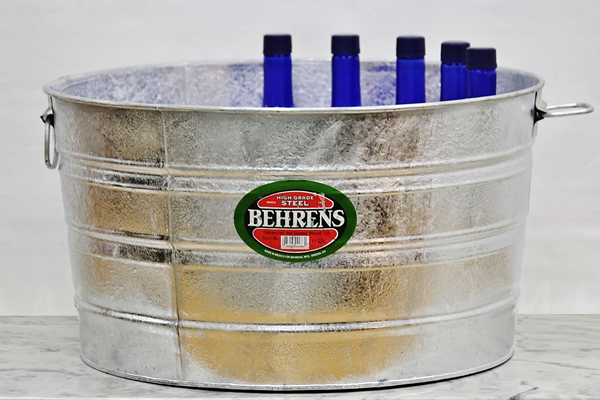 Shop all our large galvanized metal tubs here.